It’s time for wine, not for acne with Foreo Canada. 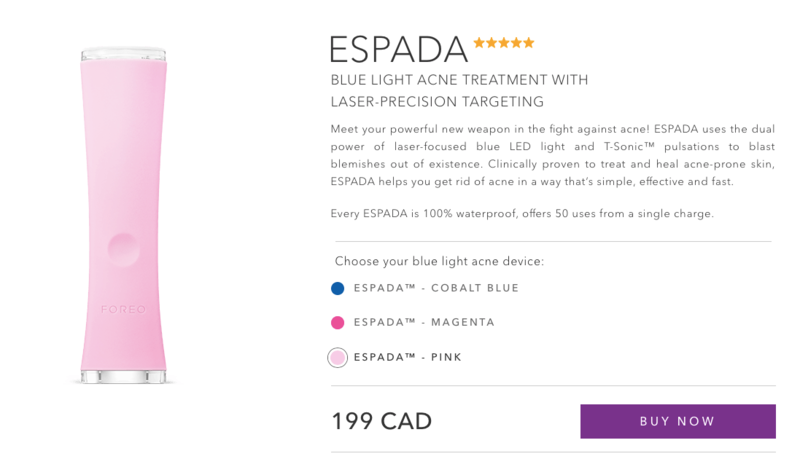 Right now, you can save 20% off on the Espada Blue Light Acne Treatment with Laser-Precision Targeting, using promo code WINEDAY20 at checkout. That means, you pay only $159.20! It uses the dual power of laser-focused blue LED light and T-Sonic™ pulsations to blast blemishes out of existence. Clinically proven to treat and heal acne-prone skin, ESPADA helps you get rid of acne in a way that’s simple, effective and fast. Also available in blue and magenta. This offer is valid for a limited time only, while quantities last. Foreo Canada offers FREE shipping when you spend $75.00 or more. Click here to start shopping at Foreo Canada.